Local suppliers will present their summer produce in this lovely fair, and there will also be a range of arts & crafts from the community of talented designers of West Penwith. A raffle will be held in aid of Mousehole School to help them raise funds for a new school minibus. Read more about who and what will be at the market here. The most rambunctious garden féte, set within the mystical grounds of Scorrier Estate, Cornwall. Expect major international headline acts and a mix of comedy, theatre, music and the arts. 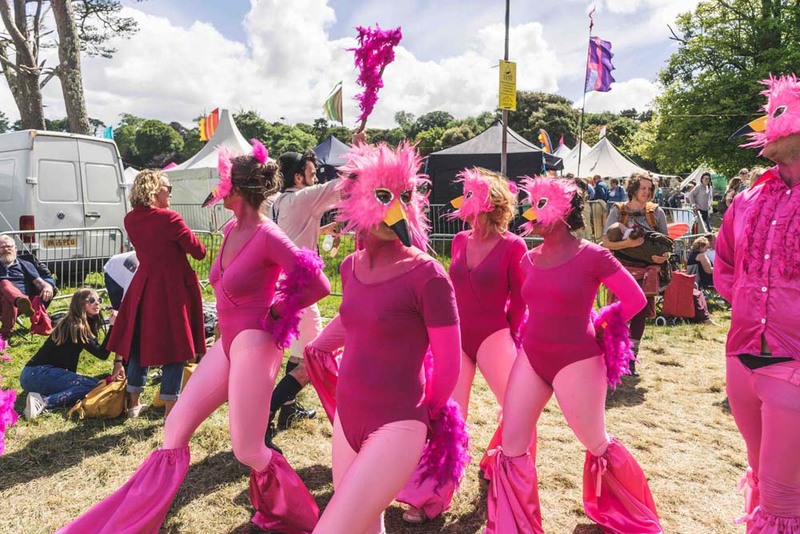 Look out for the vintage fairground, woodland silent disco, secret gin garden, burlesque sessions, Madame Wong’s House of Wrong, classical corner, Billy Bob’s Hidden Moonshine Bar, glamping, hot tubs, Captain Inkus Tattoo Parlour and the Swamp Circus and many more. Come enjoy and celebrate Cornish music with the People’s String Foundation Orchestra; a group of bohemians and vagabonds who represents the grass roots of British music culture, mixing world, classical and urban styles in anarchic embroilment. It is fronted by violinist Ben Sutcliffe with his co-founder and composer Zaid Al-Rikabi by his side. Tickets £19 – but they are limited, so book soon! More massive names are heading west for this year’s Eden Sessions. 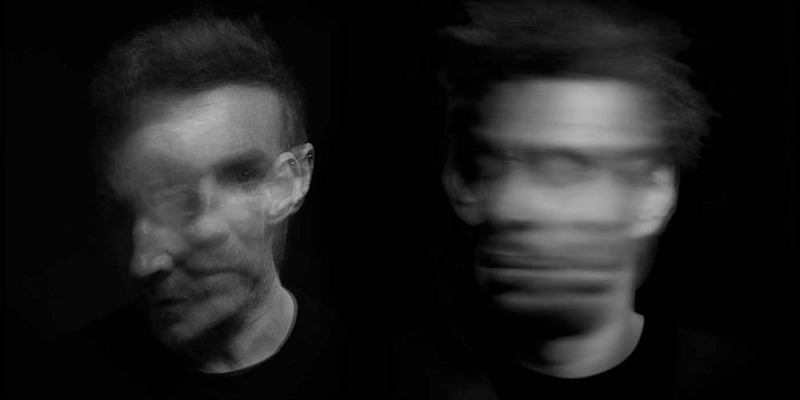 Catch Gary Barlow, Massive Attack, Bjork and Jack Johnson and enjoy some amazing live music in an iconic Cornish location. Early booking advised! There’s something for every member of the family at the Royal Cornwall Show, which celebrates its 225th anniversary this year. It’s the county’s biggest annual event and is packed-full of exhibits and activities, from entertainment, competitions and shopping to all things food and farming. Fancy a taste of France? Join Knightor Winery for a casual evening of classic French bistro dishes and wine to be enjoyed with friends. There will be nibbles and a welcome drink at the bar on arrival before the feast begins. £25 pp, but if you want to come in a little bit earlier and join them for a special pre-dinner winemaker session and tasting – it’s £38 pp. 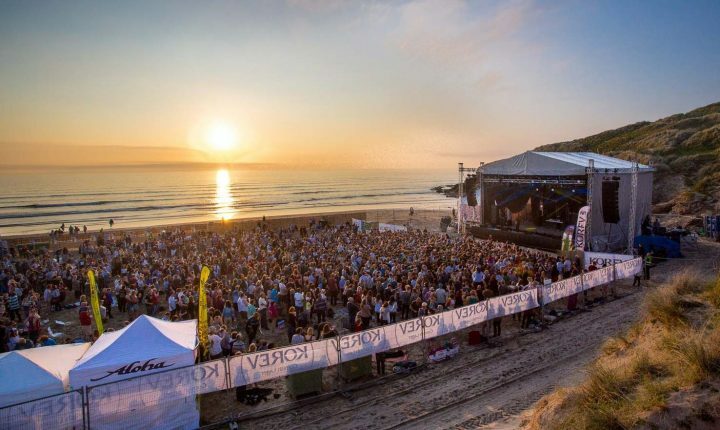 The UK’s biggest festival on a beach held on the white sands of Perranporth. Major national and international headline acts will be performing over three days and nights – including Hoosiers, Jake Bugg, Gabrielle Aplin, UB40, Pixie Lott and more. Now in its third year, we’re promised two new stages a waterslide and swell board comp too. In 2017 Robin completed a tour of 70 dates with Brian Cox, which concluded at Wembley. He is now back with his first new show in three years, which is said to be bursting with energy and ideas. Exploring two different cultures, his favourite artists and strangest scientific ideas, as well as asking why we believe what we believe and see what we see. Tickets go for £15. 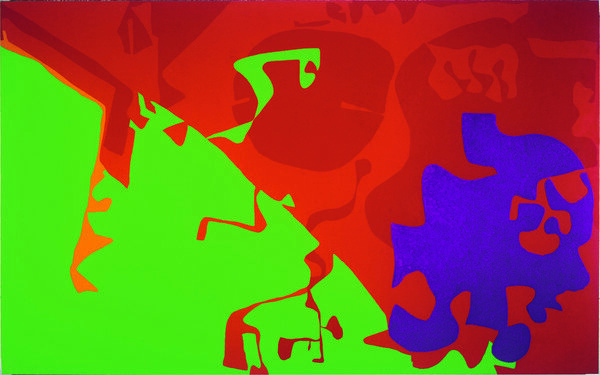 This gallery takeover is inspired by Patrick Heron and programmed by young people aged 16-25. They will be giving new life to Heron’s shapes through interaction, installation and performance. There will be a chance to paint your face with Heron-inspired forms and colours, and before you leave remember to take some time to walk around in the exhibition. Tickets £1. Saltash Regatta is one of the most colourful events held in Cornwall and, certainly for South East Cornwall, is the most popular annual regatta. Gig racing, hosted by Saltash-based Caradon Pilot Gig Club, is run to the highest standard. 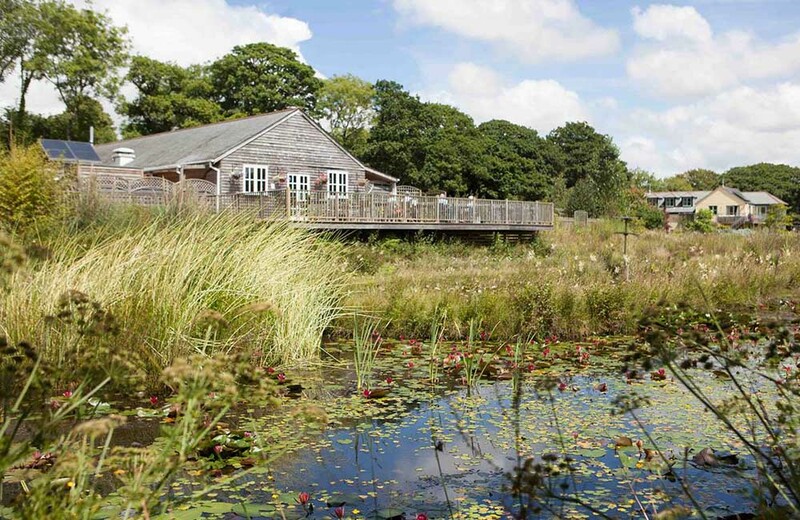 On the river you’ll also find sailing, canoeing and wild swimming too. 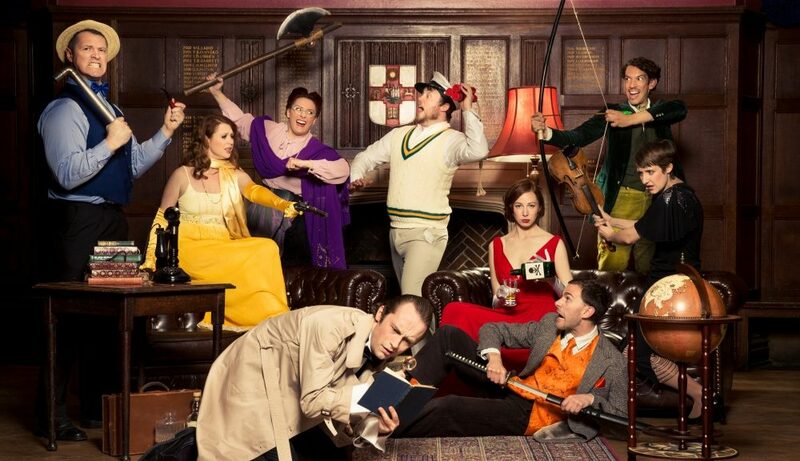 Join a classic Murder Mystery night with Degrees of Error that is original and improvised comedy, entirely based on the audience’s suggestions as they go along. A truly entertaining and hilarious evening is promised with this show from Bristol Improv Theatre’s resident company. Tickets: Full £12, Children £6, Concession £10, Meal – add a two course meal £15. This comedy show is perfect for families with little ones ranging from 5 years and above, or for anyone who is up for a light and fun theatre show. Tickets are £14/£10 for adults and £7/£5 for anyone below 16. Set up by Illyria Theatre, this show touches on important issues like the environment and the care of animals. Follow Dr. John Dolittle of Puddleby-on-the-Marsh on an exciting adventure in the animal kingdom, a truly amusing experience for the whole audience to enjoy. Julia was born and grew up on the Isles of Scilly, and has trained at Falmouth College of Art. With a passion for the Cornish sea, coast and landscape, she exhibits artwork not only inspired by this but she also brings a piece of them to her canvas. Sea glass, sea pottery and sand is a frequent element in her atmospheric painting. The menus are yet to be confirmed, but expect a warm welcome, canapés, a welcome drink, live music and roaring fires in the courtyard. Bring clothes for the weather, although the supper will be served inside the canapés and welcome drink might be served outside. Tickets go for £40 per person and they can take group bookings up to 12 people. Fan of lobsters? At The Hidden Hut they are delivered straight from the fishermen! This event is outdoors, so you’re adviced to bring warm clothes as it is a coastal location. The lobsters are cooked on wood-fire grill and served with rosemary salted hand-cut chips. Please bring your own bowls and cutlery, blanket and torches if necessary and dress for the weather. You may also bring alcohol, however, soft drinks and hot drinks will be available for purchase. Children and friendly dogs are welcome, and there are possibilities for vegetarian options – more information about this can be found on the event. Tickets go for £26,79. Join everyone at Lily’s for an evening of wine and traditional Spanish tapas for £29 per person. 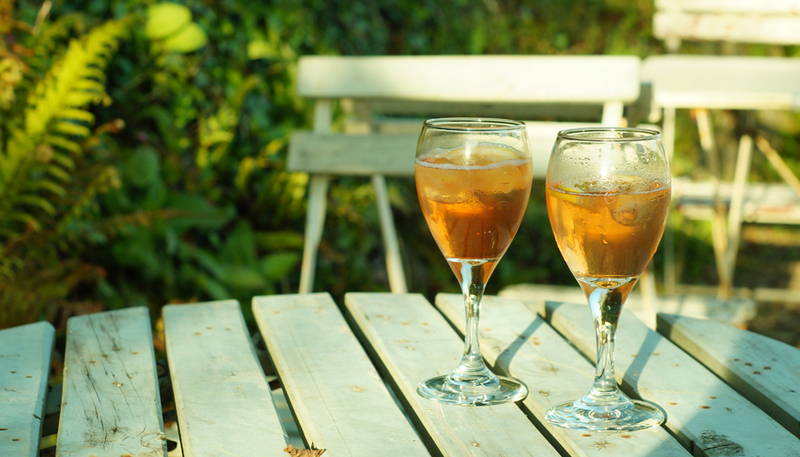 It all starts with a complimentary glass of Sangria and a welcome tapa. Enjoy the two course fine dining, with Spanish wines and Cava to purchase as well. Tickets need to be pre purchased as they do not take drop ins on the night. 3 magical days & nights with 100+ free workshops, talks and walks! Live music on two stages! Vegan & vegetarian food only on site, Lots of stalls, healing area, fairy village, Fairy & Pirate bars! Themed days include Mad Hatters & Mermaids, Fairy Circus and Unicorn Day (complete with unicorn world record attempt). Did I hear 6 courses? Teamed up with Rathlee Distilling Company the Knightor Winery is happy to invite you to this evening of 6 courses bursting with Colombian flavours – with a Cornish twist! It is the ultimate food adventure to enjoy with your friends or family. Tickets go for £40 per person, including a welcome drink, or for £54 per person you can come in a bit earlier and embark on their pre-dinner wine tour! This summer Cornwall’s award-winning Miracle Theatre will set Chekhov’s classic comedy ablaze, skilfully treading the tightrope between tears and laughter with the story of a family facing ruin, as society teeters on the brink of cataclysmic chang. Miracles outdoor productions have become a ‘must do’ activity and pop up in unexpected and extraordinary, places including gardens beaches, castles and clifftops. See full list of dates here. 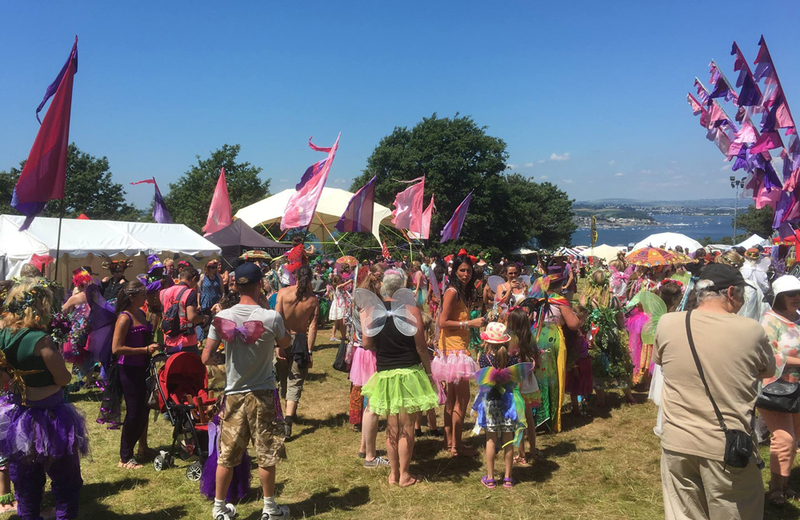 Penzance really knows how to throw a street party and Golowan is the traditional celebration of midsummer, marked with music, serpent dances, fairs, greenery and banners. Come for fireworks on Mazey Eve or bring the family to Mazey Day to see the parade of incredible, giant sculptures. 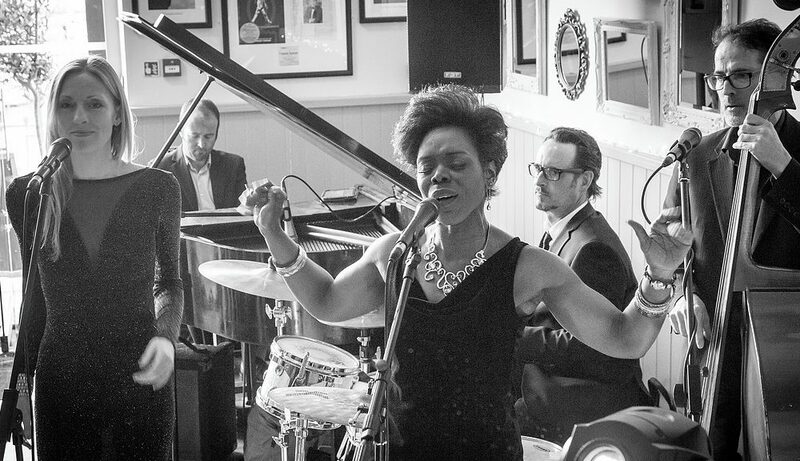 The soulful lead vocals of Ley Adewole and the cool grooves of pianist Richard Penrose, vocalist Janice Mitchelson, drummer Damian Rodd and bassist Yan Speake together make ‘The Grace Notes’. Join them for some smooth Jazz and soul classics from the likes of Stevie Wonder, Carole King and Nina Simone, as well as some of their own compositions. In the second half they will pick up the pace with some disco classics that is surely going to make you want to dance! Tickets go for £12. This weekend will involve dog shows, heavy horse demonstrations and parades, ale and BBQ’s! All the activities are included with the garden entry 10am-4pm. Join for a bit of countryside fun and traditional farm life on the Heligan home farm and much more! One of the biggest maritime music festivals in Europe. All over Falmouth you’ll find hours of free shanty performances, along with a special ticketed gala concert at Princess Pavilions, with all proceeds going to the RNLI. Falmouth will be filled with music, singing and community spirit. The Falmouth International Sea Shanty Festival is held at multiple venues throughout the town but you’ll find the main stages on Custom House Quay (The Seasalt Stage), on Events Square (The Skinners Stage) and on The Moor (Seven Stars Stage). Lukas and Fiona have worked in the industry for many years mentoring vulnerable young adults, and with this show they are raising awareness for mental health through the art of dance. The event brings the otherwise difficult and delicate subjects to a safe, non-judgemental and creative place for anyone to feel inspired. Tickets go for £10 for adults and £8 for anyone under 16. Enjoy an evening with Kate Moss at The Acorn to celebrate the publication of “The Burning Chambers“, which is the first volume in her new trilogy. It is a gripping story of love and betrayal, mysteries and secrets; of war and adventure, conspiracies and divided loyalties. Tickets go for £5. Other venues and dates include, Porthmeor Studios, St. Ives – 19 Jun and Dolly’s tea room and wine bar, Falmouth – 19 Jun. 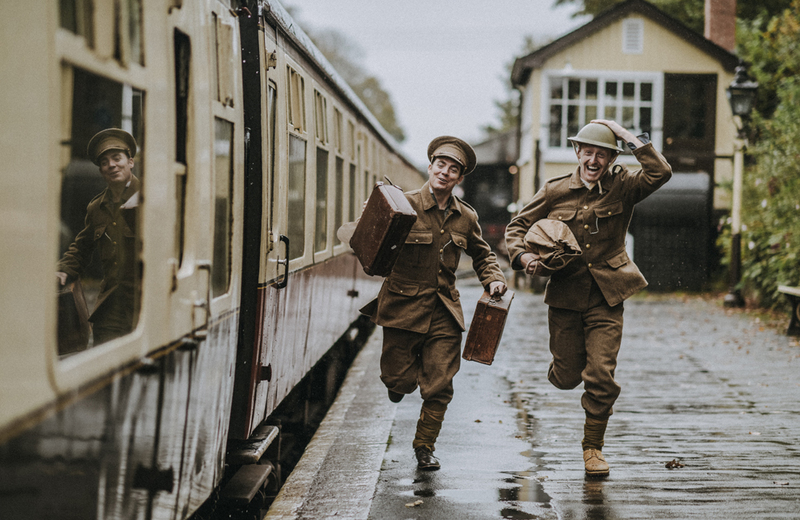 An immersive theatre experience, The Trench Bodmin tells the true and personal stories of local Cornishmen who fought in the First World War. Follow in their footsteps, enlist at Bodmin Keep and take on a real soldier’s identity. Board a steam train at Bodmin & Wenford Railway and head off to our replica WW1 trench to experience the chaos of battle. Return and discover your fate, before entering the Trench Exhibition, followed by short plays on selected evenings. Suitable for ages 12 and over. Paul and Taz presents an exhibition mixed with Paul’s native timber pieces inspired by seeing the grain in the timber and using it to its best effects, and Taz’s ancient art inspired paintings on paper and canvas. The Golowan Festival is a part of Penzance’s celebration of midsummer, and this year Tim Boulton & Friends return for two Golowan concerts: The Homeless Human including Gavin Bryars’ Jesus’ Blood… and The Great ‘C’ Monster: music by Bach, Beethoven and Terry Riley. Tickets go for £7 and £3 for young ones. 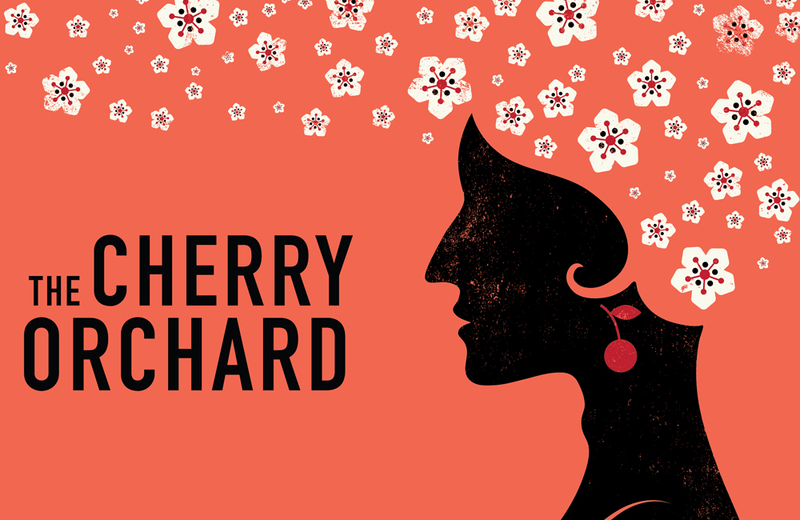 Enjoy Shakespeare’s funny courtroom drama in the gardens of Trebah! The show deals with serious issues, especially one about keeping promises. It is set up by Illyria the international award-winning company who intend on keeping the promise that his production will keep you on the edge of your seat. The age guidance is 10+ and tickets go for £8-£12. When you arrive you will be seated around long wooden trestle tables for a delicious feast with a view of the Cornish coast. Sharing platters of fresh seafood and Cornish lamb curry will be served from the open kitchen. 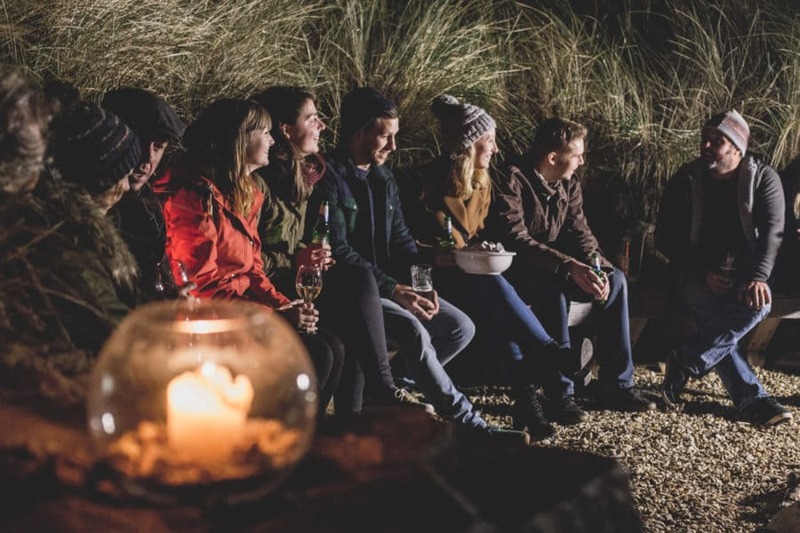 Once the feast has been devoured you can wrap up warm and sit around the fire pit roasting marshmallows amongst the dunes. Tickets go for £35. Make like the iconic Gaucho cowboys and gather round the Argentinian barbecue for a taste of the Andes. Feast on three-courses of grilled meats including sweetbreads, morcilla y chorizo con salsa criolla, Cordero a la Cruz lamb con chimirchurri, short rib beef and grilled veggies. Dinner will be served inside on long banquet style tables with a bonfire on the beach and live music. Watergate Bay in the North of Cornwall has one of the best places to surf in the UK. This summer SkyBar is hosting their famous aprés-sea night out overlooking Watergate Bay’s two mile long golden sand beach. Just a short walk from the beach you can get drinks in the six bar they will put up and go watch the sunset with your friends. This is said to be HUGE. Tickets go for £20 on Fri and £25 on Sat. A thali consists of lots of small dishes based on vegetables and pulses, with many flavours, so there is surely something for everyone at this event to enjoy! Please bring your own bowls and cutlery, blanket and torches if necessary and dress for the weather. You may also bring alcohol, soft drinks and hot drinks will be available for purchase. Children and friendly dogs are also welcome, and if you have any special dietary needs you can find out more information about this on the event. Tickets go for £15,26. What is better than a cold refreshing Gin & Tonic? Well, let’s start at a cold refreshing Gin & Tonic WITH live music. This year’s gin festival will have a day full of learning more about science of botanicals, the nuance of garnish and the way to make a perfect gin sling – while the evening is all about the music. Bring your friends and get your dancing shoes on! Day and evening sessions are both £12 each. The Saturday Night platform amazing dance from local and professional dance artists and celebrate youth dance with the SDANCE platform. 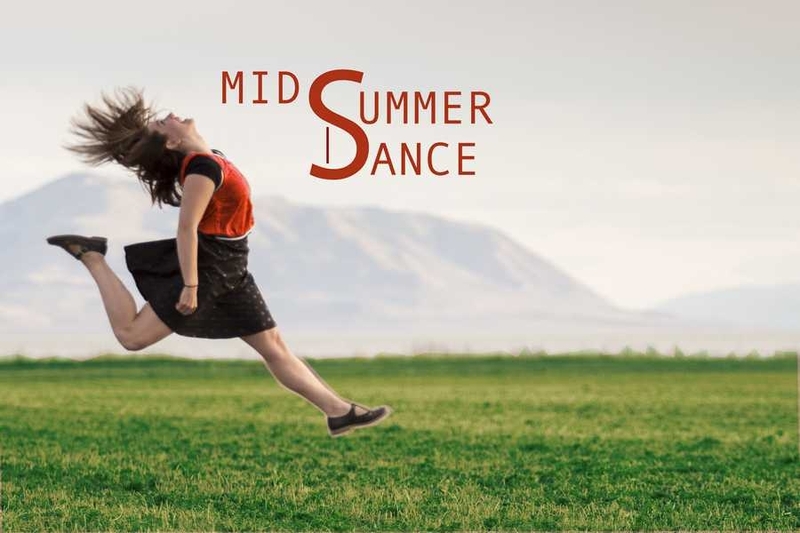 Expect a playful, creative, energised, adventurous and entertaining collection of dances, put together to make it an evening of joy and excitement. Tickets: Full £8, Concession £6, Meal – add a 2 course meal £15. Sunday presents the very best youth dance companies, with a lot of energy and talent from local dancers. Tickets go for £3. A celebration of contemporary craft and design culture – local artists, makers, creators, inventors and repairers are the heart of this popular event. There will be stalls selling local and ethically produced products, everything from jewellery to skincare to food! Pop-up performances and workshops will also be held on the site. Entry is free. Mevagissey has been celebrating the Feast of St Peter (patron Saint of Fishermen) for generations. Highlights include Sunday’s Fish Festival where fish dishes, ales and live music will be served up in the harbour and the colourful annual parade. This Jane Austen drama play is adapted by Jessica Swale into a fast-paced, funny and clever version of the original. Follow Elinor and Marianne Dashwood on their journey through love, dreams and heartbreak – from Devonshire to London and back again. Tickets are £14/£10 for adults and £7/£5 for anyone below 16. 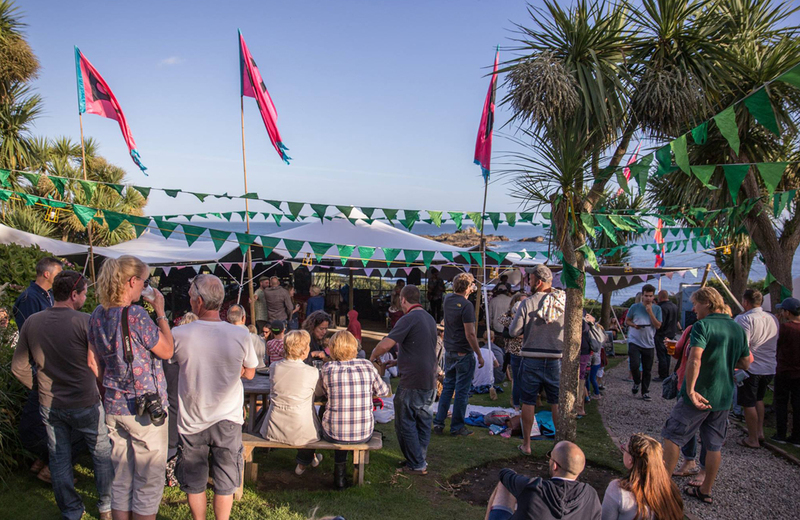 A celebration of summer, Ale & Anchor is a wonderful weekend for all ages, combining music, beer and family fun, with 20 Cornish ales and food from The Old Coastguard BBQ. Alongside non-stop music there will be traditional garden games, face painting, storytelling and flower crown and mask making each day. Come relax and hang out in the walled garden and listen to some of Cornwall’s finest local bands. Bring a rug to sit on and enjoy the lovely food and drink available to purchase in the bar, there are also vegetarian options! Dance the evening away or sit around the fire as the bands will play until dusk. Tickets go for £10 online or £12 on the door for adults, and £5 online or £6 on the door for children.